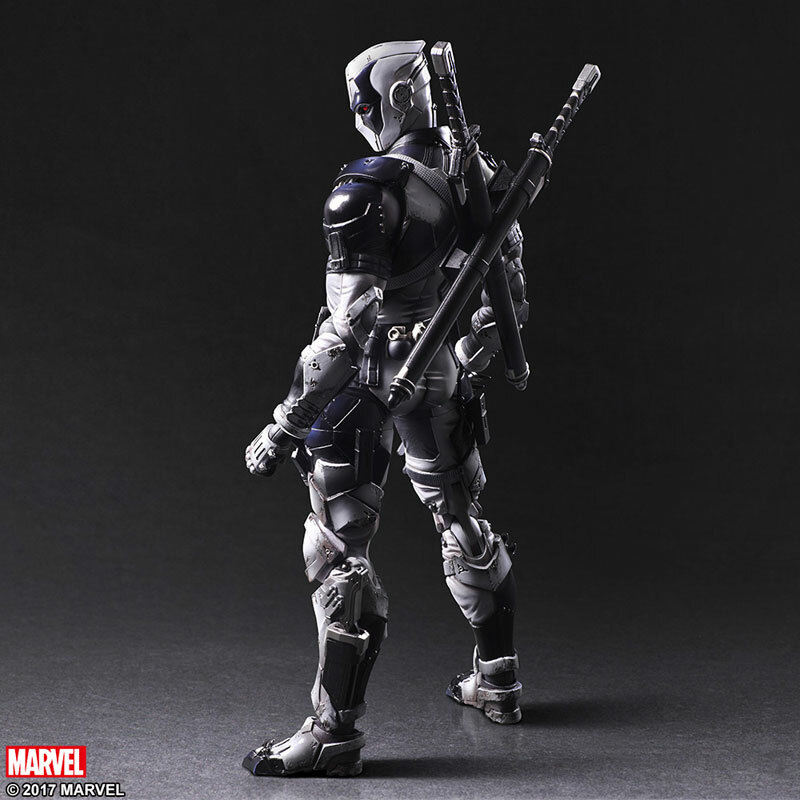 Revealed late last year, the Marvel Play Arts Variant Deadpool Figure is available now. 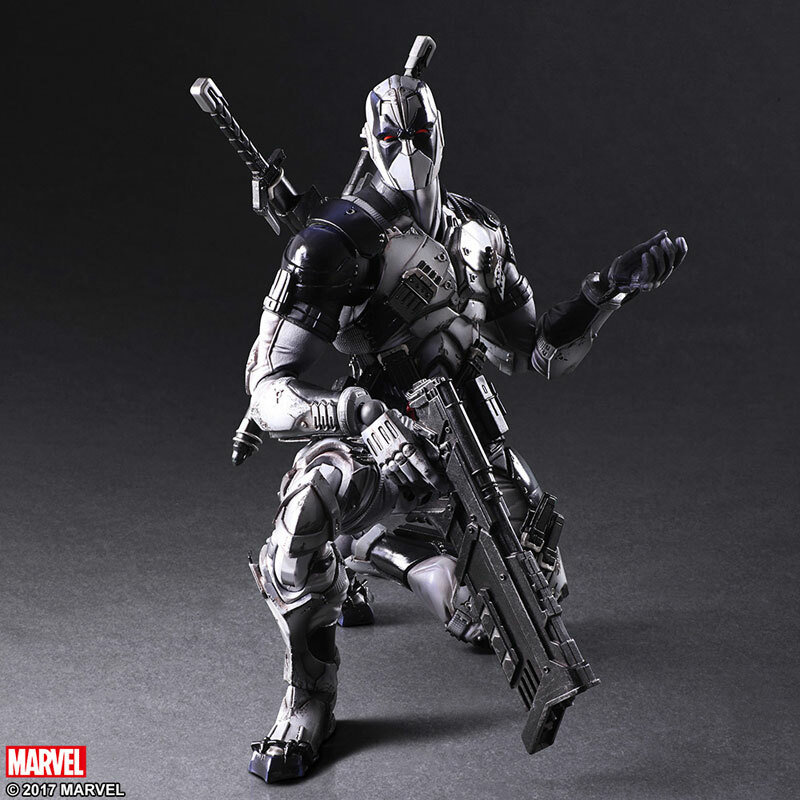 A repainted version of the figure has been revealed by Square Enix and we have the details. 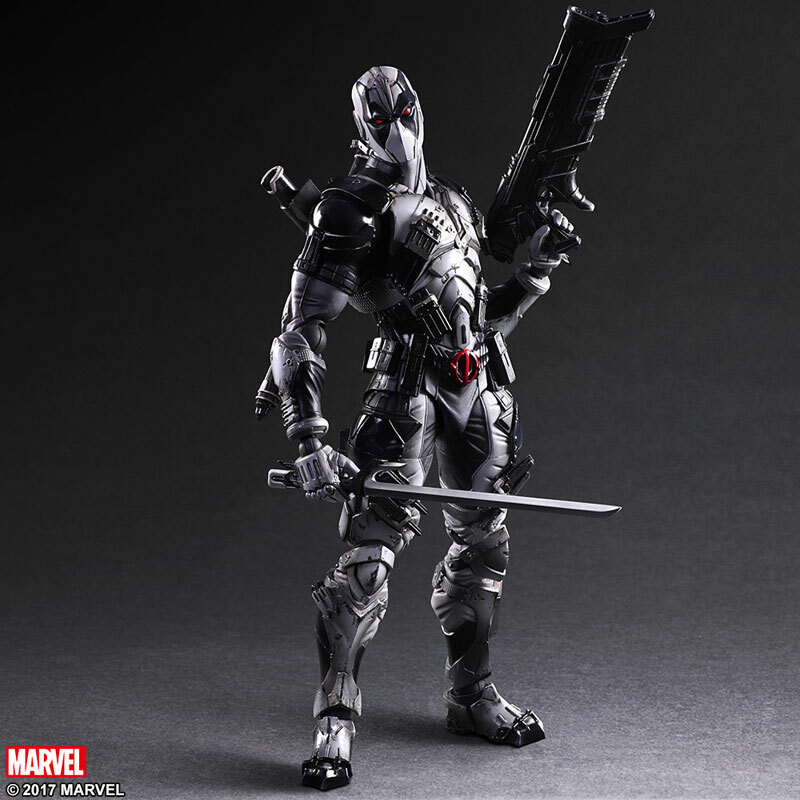 They are releasing a X-Force version of the Deadpool Play Arts Kai Figure. 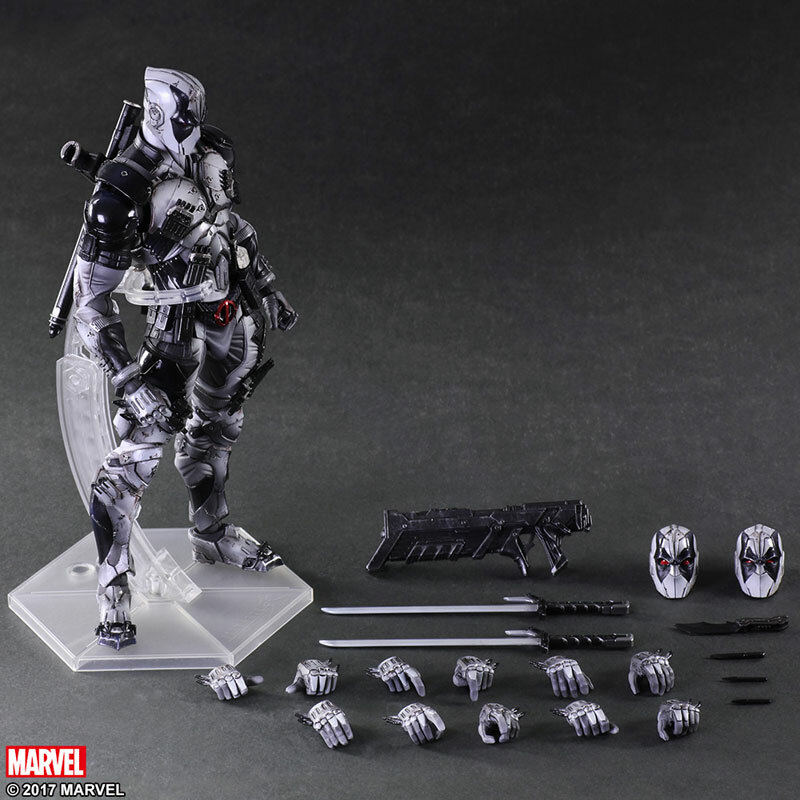 Like the previous release, this version of Deadpool comes packed with accessories. 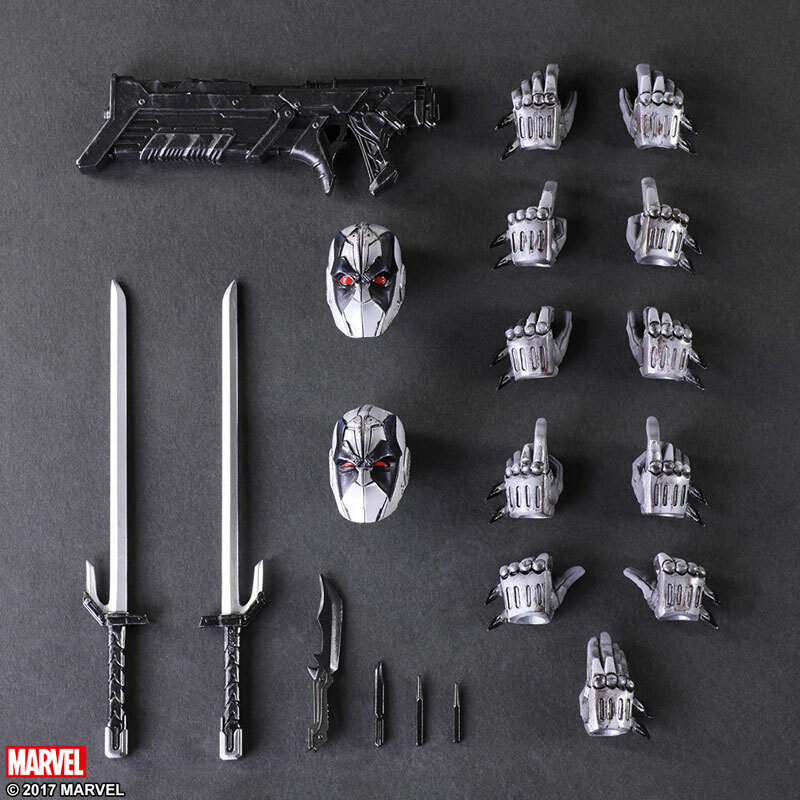 It includes two interchangeable head sculpts, two swords, a rifle, knives, multiple interchangeable hands and a figure stand. Pre-orders for the figure should be going live soon. 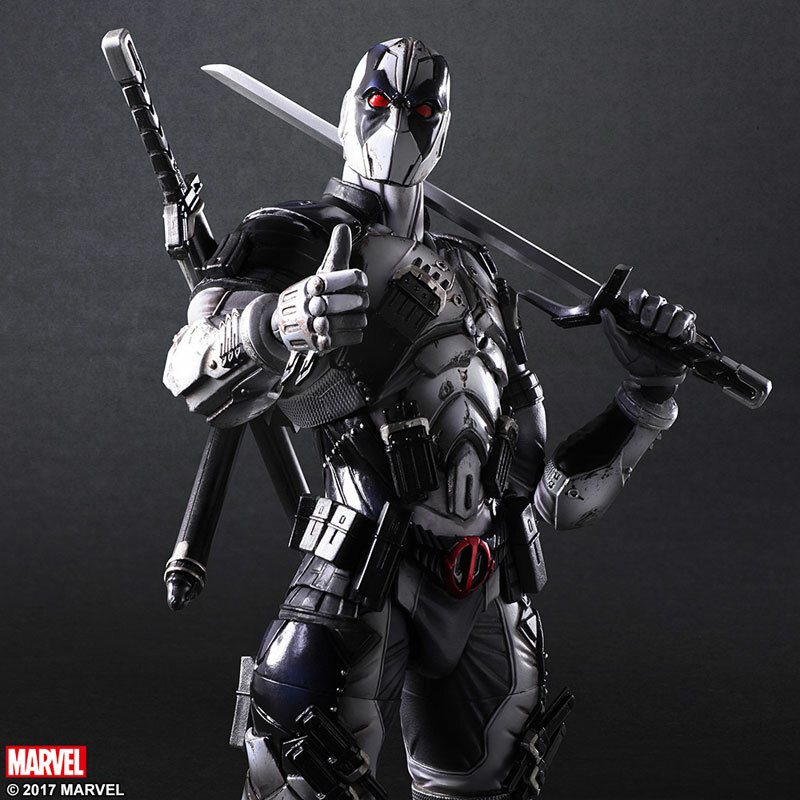 Look for the X-Force Deadpool to be released in September. 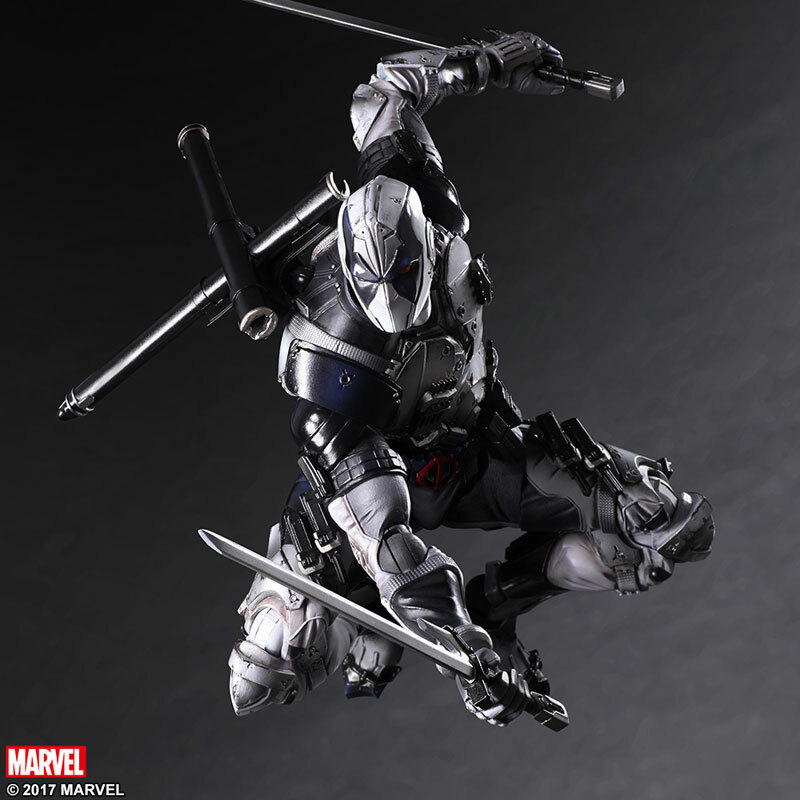 The figure has a SRP of 15,984 Yen (about $144 USD). Read on for some photos of the upcoming release. I just bought this yesterday (red version).